What Is Tungsten Boat Putty? 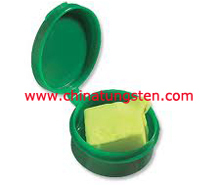 Tungsten boat putty is made from 100% pure tungsten powder. Tungsten putty is blended with a putty type compound and a few of our own ingredients to create a tungsten putty that is very malleable, easy to apply and will not dry out even after several weeks exposed to air and sunlight. Easy to use, nontoxic, tungsten boat putty is 30% heavier than lead and legal to use where lead is not. Leave no sticky residue on hands, clothing or gear. Simply pinch off the appropriate amount of tungsten putty and roll it onto your boat. Easily adjusted the tungsten putty, it can be removed and reused on your boat toy. Tungsten putty is tacky and moldable, easy to put on, easy to take off. Tungsten putty is maximum adhesion that is the stickiest ever, eliminating the chance of putting falling off during your remote control boat match. Our tungsten boat putty is perfect for balancing you boat or pinning down your end tackle. 1.Easy to apply exact amount of weight to your boat toy. 2.Easily molds to any shape, so you can use it anywhere on your boat no matter what design you have. 3. Break off exact amount of tungsten putty you need. 4. Place tungsten putty anywhere on your boat. 5. Tungsten putty is environmentally friendly. 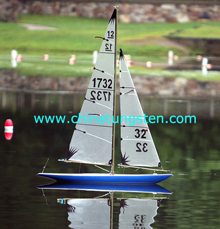 Although tungsten boat putty is made from non-toxic ingredients, it is NOT a toy for children to play with. Always wash your hands after use tungsten putty, and keep tungsten putty away from food and your mouth. All types of tungsten remote control can be accommodated within the Chinatungsten Online's organization and quality standards and customer service levels remain consistent for each type of customer. 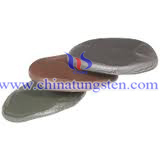 If you have any interest in tungsten putty, please feel free to email us: sales@chinatungsten.com sales@xiamentungsten.com or call us : 0086 592 512 9696, 0086 592 512 9595. We are at your service.